By Jim Dower: Former WBC/WBO middleweight champion Kelly Pavlik (37-2, 32 KO’s) could be taking on IBF super middleweight champion Lucian Bute (28-0, 23 KO’s) this fall in a fight that will likely be televised on HBO. Dan Rafael of ESPN says that a Bute-Pavlik fight is possible for the fall should Bute win his July 9th fight in Romania against a still to be determined opponent. Bute, 31, would be a big test for Pavlik, and it’s unclear whether Pavlik’s promoter Bob Arum would be willing to put him in with such a hard fight so soon after coming off a year-long layoff. For Bute, a fight against Pavlik right now or in the near future would be the best possible thing for him. Bute’s chances of beating Pavlik are better now than if he waits for Pavlik to get accustomed to fighting at super middleweight and having more fights to get the rust off. Pavlik didn’t look very good in beating little known Alfonso Lopez last Saturday night on the undercard of the Manny Pacquiao – Shane Mosley fight at the MGM Grand in Las Vegas, Nevada. Pavlik had problems with Lopez’s hand speed, movement and combinations. 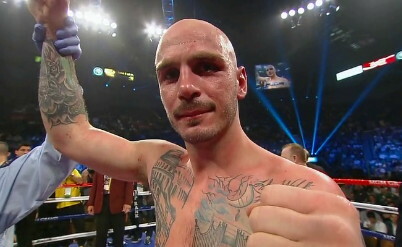 It wasn’t until the last round that Pavlik was able to finally pressure Lopez enough to where Pavlik hurt him and had him bleeding and holding on in the final minute of the round. If there were two more rounds, Pavlik likely would have stopped Lopez if he had kept up the same momentum that he displayed in that round. Against Bute, Pavlik will have to fight a lot harder than he did against Lopez and will have to be better at applying consistent hard pressure and cutting off the ring. Bute is a much better all around fighter than Lopez and Pavlik might not be ready physically and mentally for a fight like that.